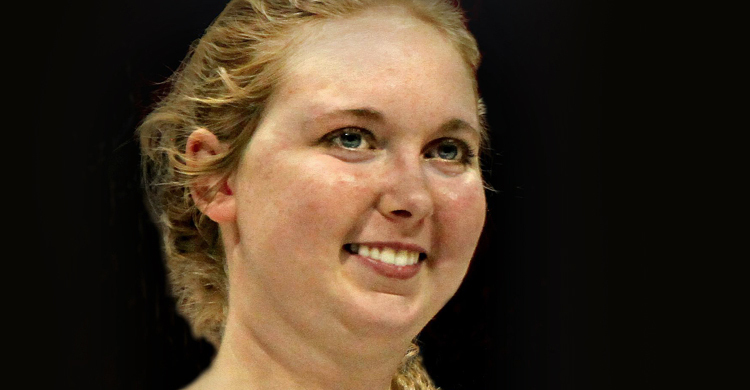 Lauren Hill’s inspiring story touched the hearts of countless people around the world this year. The 19-year-old’s battle with a rare form of inoperable pediatric brain cancer thrust her into the spotlight as she became a voice to raise awareness of a devastating disease, Diffuse Intrinsic Pontine Glioma (DIPG). The result was a tremendous outpouring of financial support that continued in the weeks and months after Lauren passed in April 2015. The Cure Starts Now, a Cincinnati-based organization founded by the parents of a child who died from the same cancer, received more than $1.7 million in donations in Lauren’s name. Just as important was Lauren’s witness to the sanctity of every human being’s life. Her willingness to refuse to give up when others might have retreated from the pain and suffering, her openness to devoting her time and energy to raise money to help others afflicted with the same dreadful disease, her humanity and gentle nature, and her understanding of God’s will in her life left a lasting impact on the world. As a senior at Lawrenceburg High School, located outside of Cincinnati in Southeastern Indiana, Lauren was a popular student and a standout basketball player. She had committed to play in college at Mount St. Joseph University. Life was good. But then she began to notice something not quite right with her balance and coordination. At first, doctors couldn’t figure it out. The diagnosis came in November 2013. It was cancer, specifically DIPG. Lauren soldiered through her last year of high school, enduring radiation and chemotherapy, hoping and praying for the best while trying to beat the odds. Though her basketball skills were diminished by her illness, Mount St. Joseph honored its offer to Lauren to play basketball at the NCAA Division III school. Dan Benjamin, the women’s basketball coach at Mount St. Joseph, had recruited Lauren before the cancer struck, but he wasn’t supposed to be back as coach for Lauren’s first season. Several twists of fate, though, led to the school rehiring him. Even before Lauren arrived for the fall semester, he had become her biggest advocate and fan. Benjamin understood her passion for basketball and knew from the moment Lauren stepped onto campus that her goal was to play in a college game, despite her declining health. With the Mount’s season opener scheduled for late November and faced with a prognosis that she might not make it to Christmas, Benjamin asked the NCAA to move up the team’s first game against Hiram College to early November. A local television station ran a lengthy feature on Lauren’s battle. The story quickly went viral. So many people wanted to attend the early November game to support her cause that the game was moved to Xavier University’s 10,000-seat Cintas Center and nationally televised. Despite Lauren’s physical limitations, including dizziness and weakness on her right side, she started the opening game and made a left-handed layup that brought the fans in the sold-out arena to their feet and some to tears: Her dream had been realized. Lauren called it the greatest day of her life—and what a moment to remember for her family. Lauren was so determined to press on that she defied the odds and played in three more games before the end of the year. Her appearances on the floor were brief (she scored 10 points in the four games), but each was an inspirational display of determination and fortitude. The young woman with the big heart made it past Christmas and New Year’s. She could no longer play basketball, but managed to make appearances at fundraisers and received an honorary degree from Mount St. Joseph. She did as many local and national interviews as she could endure. The last national interview came a few weeks before her death. Lauren’s ability to summon the strength for the interviews amazed even her mom. Lauren embraced the cross of her illness and the suffering that went along with it. 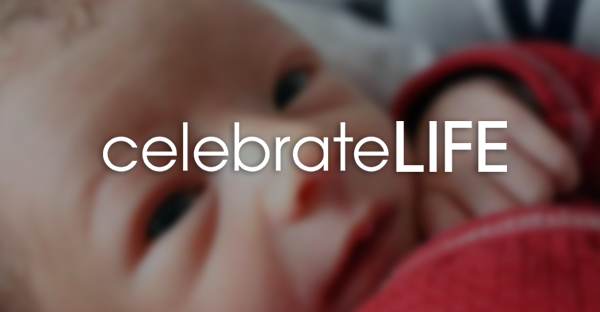 She chose not to retreat, but to show the dignity of every human being’s life—born and preborn, sick and healthy, young and elderly. “Lauren died not only with dignity, but with integrity,” Potts said. One year after Lauren’s first college game, Xavier will play host to the Lauren Hill Tipoff Classic. The game, held on Saturday, November 14, will be a nationally televised doubleheader featuring a rematch between Mount St. Joseph and Hiram, following Xavier taking on Evansville. Ticket proceeds will go to The Cure Starts Now. Doug Bean is a writer/editor who resides in Westerville, Ohio, with his wife, Janice, and their six children.